WAFFLES: I'm ready for Santa, Boss. Emailed him my spreadsheet and everything. WAFFLES: Duh, Boss. Santa's gone digital, you know. I need to facetime him and make sure he has my list. KATIE: Waffles, I think you're overlooking what Christmas is all about. It's about giving, not receiving. WAFFLES: I know, Boss. That's why I GAVE Santa my list. 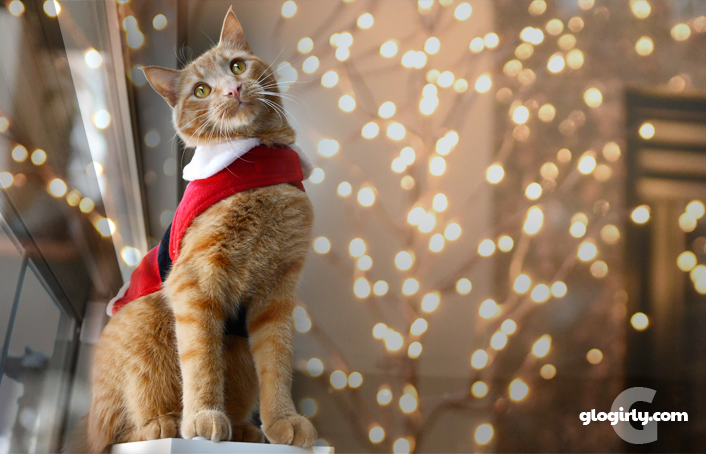 Despite the fact that Waffles has likely appeared on Santa's naughty list multiple times throughout the year, he scores points every single day with his happy personality and loving affection. Katie loves giving and receiving love too. She's just a little more ladylike about it. And prefers to do it without wearing a Santa coat. Oh, Waffles! You're so delightfully clueless sometimes. Come snuggle with me, handsome mancat! I have a Santa coat (and a few dresses too! ), but no spreadsheet. We bet chicken is the first thing on Waffles’ list. Mol! Definitely the cutest Santa cat ever! 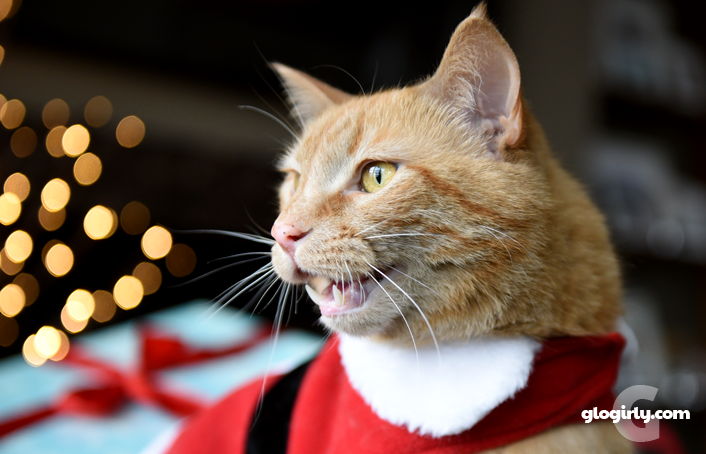 Waffles, I am sure Santa has laughed at your antics. I'm also sure he understands that orange kitties don't have the power to be 100% good. Hope Waffles and Katie get all they want from Santa. 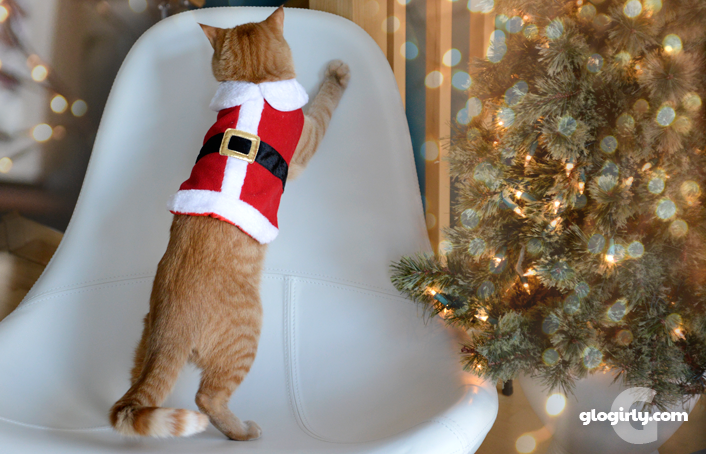 We firmly believe that Santa never places any kitteh on the Naughty List, ever. Especially not orange kittehs. 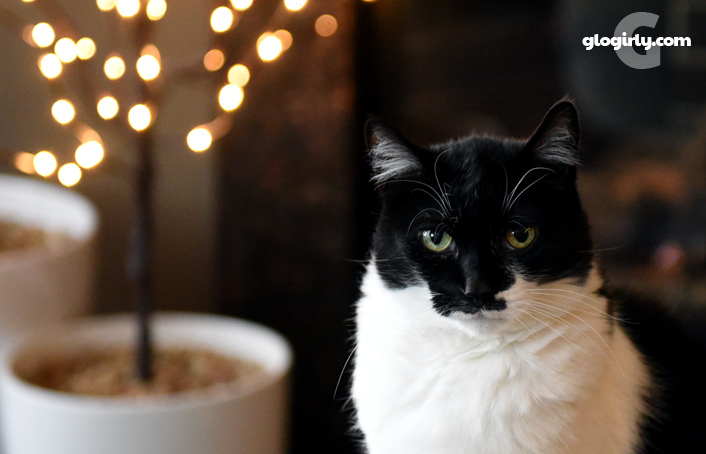 Cats are never allowed on the naughty list! Waffles is just too too in his Santa coat! You can't blame a man cat for trying. . .
A spreadsheet! What a fab idea! I am sure Santa will bring you everything you as for. A spreadsheet—now that's an idea. I prefer to just mug him and take whatever's in the sack. Heh heh. Ohhhh, mum knows how to do spreadsheets. I should have her teach me how to us it!